Most visitors to Saqqara will know that the monuments seen at the site chiefly date to the Old Kingdom, for which it is justly famous. There are later tombs, however, particularly tombs of nobles such as Horemheb and Maya and of course many Graeco-Roman tombs that have survived below the surface. 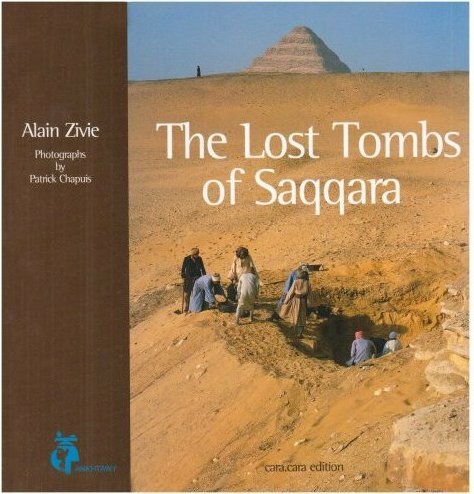 It was a huge revelation when French archaeologist Alain Zivie and his Mission of the Bubasteion found a remarkable collection of New Kingdom tombs which were, unusually, cut into a cliff-side at Saqqara instead of being stone-built like the rest of the monuments at the site. Even more surprising was the fact that these tombs had been in plain view, as they lay in a small bay in the cliffs just off the main tourist road to the Step Pyramid. It may well be that they weren’t spotted at first because the area was a constant building site. The quality of the tombs was exceptional, and many of them belonged to members of the court of Tutankhamun, including Maya, a lady who was the king’s wet nurse. Clearly this was an important set of tombs. Many of their contents have survived including coffins and bodies, and the coffins are of the best craftsmanship seen in the Eighteenth Dynasty, with wonderful inlays of semi-precious stones and coloured glass. The walls of the tombs are for the most part decorated, in many cases with fine carved and painted reliefs, including a lovely scene of Tutankhamun with his wet nurse. Many of the tombs have statues of the deceased carved into the walls, and in one tomb there is a splendid carved and painted figure of Hathor with an unknown New Kingdom pharaoh standing before her. Published by cara-cara edition 2007. ISBN 978 2 913805 02 6. This slim and glossy booklet is a beautifully illustrated montage of translated ancient Egyptian texts, edited by the author to make them easy to read and understand. Texts include extracts from the Admonitions of Ipuwer, the ‘Amarna letters’, Herodotus, marriage contracts, wills and other writings, together with brief context material. You might like to try out the latest anti-wrinkle cream – “a ball of incense, wax, fresh oil and cypress berries” – or perhaps disinherit your undeserving children – “Now I have grown old and my children don’t look after me any more ... I will not give anything to the ones who have neglected me.” AE’s Editors may wish to read the musings of the Royal Scribe Nebmarenakht, who tells his apprentice to “love writing, shun dancing” and declares that writing “is better than all other professions. It pleases more than bread and beer”. 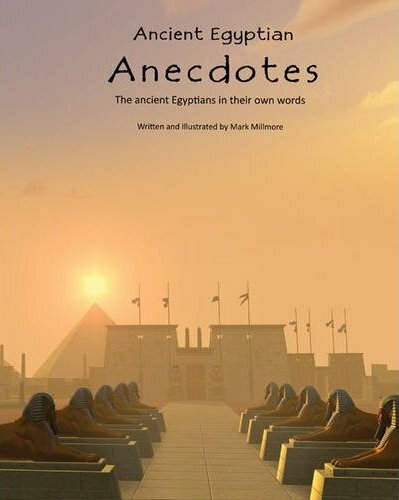 The full colour illustrations by the author will make the book particularly appealing to younger readers, although adults too will enjoy reading the thoughts and feelings of the ancient Egyptians in their own words, and will hopefully be inspired to seek out some of the original translations from the list of sources printed at the back of the book. Published by Eyelid Productions Ltd, 2010. ISBN 978 0 9565675 0 5. 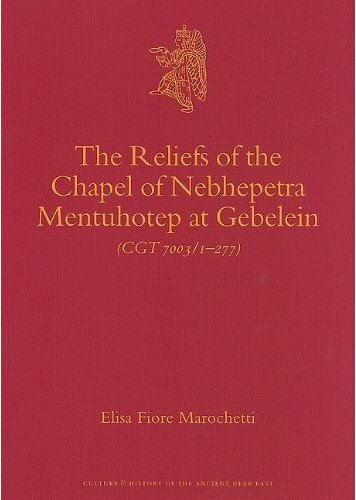 This volume is a detailed catalogue of fragmentary limestone reliefs from a temple built during the reign of Nebhepetra Mentuhotep of the Eleventh Dynasty (2064-2013 BC) at Gebelein, some of which are published here for the first time. Most of these pieces were collected by Ernesto Schiaparelli in 1910 and are now housed at the Egyptian Museum of Turin, with some items at the Egyptian Museum in Cairo. The chapel was dedicated to the goddess Hathor, Lady of Dendera. It was built during the king’s reunification of the country, in order to help him legitimise his kingship and power by choosing a site that had previously been hostile to the Thebans. The volume contains full details of all the fragments studied, together with line drawings, written descriptions and photographs in colour and black and white. The geography and history of the Gebelein site are discussed, with a brief explanation of the Cult of Hathor and the dating of the chapel. The author has been able to make a partial reconstruction of some of the wall scenes and also to draw up a hypothetical plan and elevation of the temple. There is also an extensive bibliography. Although this is probably aimed at the specialist, the work is an important documentation of fragmentary evidence from a more turbulent period of Egyptian history. Published by Brill, Leiden, 2010. Nebnefer and his son Mahu were both Royal Scribes during the reign of Rameses II and each held the position of Chief Steward of Ptah in Memphis. Their tomb was one of several New Kingdom tombs discovered in a high status part of the Saqqara necropolis by the Faculty of Archaeology, Cairo University between 1984 and 1988. Tomb ST218 is one of the largest of these tombs, measuring 35.8 metres long by 7.7 metres wide, and includes a limestone pylon, two open colonnaded courts, an 8 metre-deep burial shaft and the remains of a small rubble-filled pyramid on the external west wall. It required extensive conservation and restoration work, and the results are documented here in this volume. 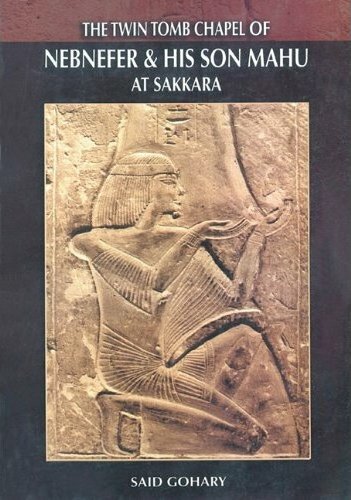 The author describes the tomb and surviving inscriptions in detail, and follows this with a series of plates showing plan drawings of the site and the tomb itself, and black-and-white photographs of the surviving blocks, columns and wall scenes, with linedrawings of some of the less well preserved images, and a short list of referenced works. The volume is an easy-to-read guide to an important Ramesside tomb; hopefully there will be more to come once the burial shaft itself has been excavated. Published by the SCA, 2009. 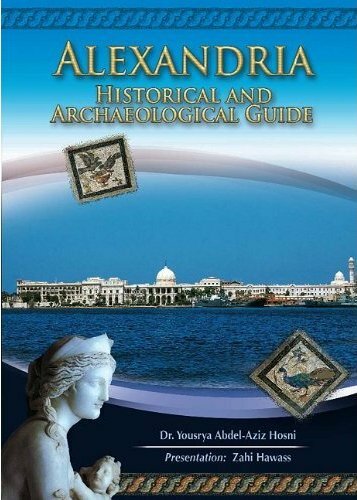 This colourful guide book attempts to trace the history of Alexandria from its founding in 332 BC, through the Graeco-Roman, Byzantine and Islamic Periods to the Ottoman conquest and the modern era. Each section consists of an outline history followed by a more detailed guide to the archaeology of the period, with plenty of colour photographs of temples, monuments, tombs and mosques. Dr. Zahi Hawass gives a short introduction, highlighting the work of the (former) Supreme Council of Antiquities in opening the new National Museum of Alexandria in 2002 and other museums including the Mosaic Museum and Underwater Museum. However, the book is spoilt by the poor standard of English. The writing is clunky, the phrasing difficult to understand in places. The text is littered with grammatical errors and spelling mistakes (for example Dr, Hosni invites you to share his “frillings”). An authorised translation from an original work in Egyptian would perhaps have resulted in a more professional production. Overall, the guide is an interesting basic introduction for first time-visitors to the city, but requires a little deduction on the part of the reader to work out what the author is trying to say. The AE book-review panel consists of Editors Bob Partridge and Peter Phillips and Assistant Editor Sarah Griffiths, who has recently joined the AE team. There are fewer books than usual in this month’s review because of the smaller number published this Spring. 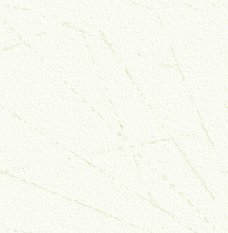 If you have any suggestions of books to review, please contact the Editors at the address on the contact page.